Our website grants you non-exclusive limited license to use the web templates and other products sold through our web site by independent content providers (the "products") in accordance with these Terms and Conditions (the "license") issued by our company open-realty.co.uk. You may not sub-license, assign, or transfer this license to anyone else without prior written consent by open-realty.co.uk. After completing your purchase you'll be sent an email containing download links to your templates, as well as your customer account details. Simply click on the links in the email to log in to your customer account to download your template. There are no annoying waiting periods or calls to to verify purchases. Since Open Realty UK is offering non-tangible irrevocable goods we do not issue refunds after the product has been Downloaded, which you are responsible for understanding upon purchasing any products from this web site. product not-as-described: a request based on this reason is satisfied on a case by case basis in agreement of both parties concerned. "Sources available section" is regarded here for final resolution. To prevent this situation every customer is suggested to check free samples of each type of the product offered before making the purchase. It helps to research the product's structure and evaluate one's skills in template editing. We have no influence on the development of Open-Realty Open Source. 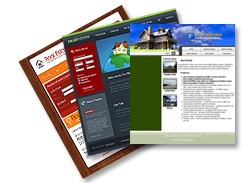 All templates are always designed for the latest version, but we can give no guarantee, that the templates will run with future versions of Open-Realty. Customer purchase can be suspended for manual antifraud check for 10-20 minutes as well as it can be suspended for longer term (around 24/48 hours) for more serious investigation. Antifraud check occurs because of growing number of fraud transactions from persons who are not actual cardholders of the credit cards used during purchase. 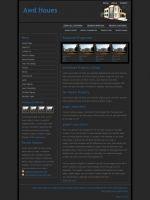 The official Open Realty UK. website and all pages linked to it or from it, are PROVIDED ON AN "AS IS, AS AVAILABLE" BASIS. Open Realty UK. MAKES NO WARRANTIES, EXPRESSED OR IMPLIED, INCLUDING, WITHOUT LIMITATION, THOSE OF MERCHANTABILITY AND FITNESS FOR A PARTICULAR PURPOSE, WITH RESPECT TO ANY INFORMATION OR USE OF INFORMATION CONTAINED IN THE WEBSITE, OR LINKED FROM IT OR TO IT. Open Realty UK. does not warrant or guarantee the accuracy, adequacy, quality, currentness, completeness, or suitability of any information for any purpose; that any information will be free of infection from viruses, worms, Trojan horses or other destructive contamination; that the information presented will not be objectionable to some individuals or that this service will remain uninterrupted. Open Realty UK. its agents or employees shall not be held liable to anyone for any errors, omissions or inaccuracies under any circumstances. The entire risk for utilizing the information contained on this site or linked to this site rests solely with the users of this site.